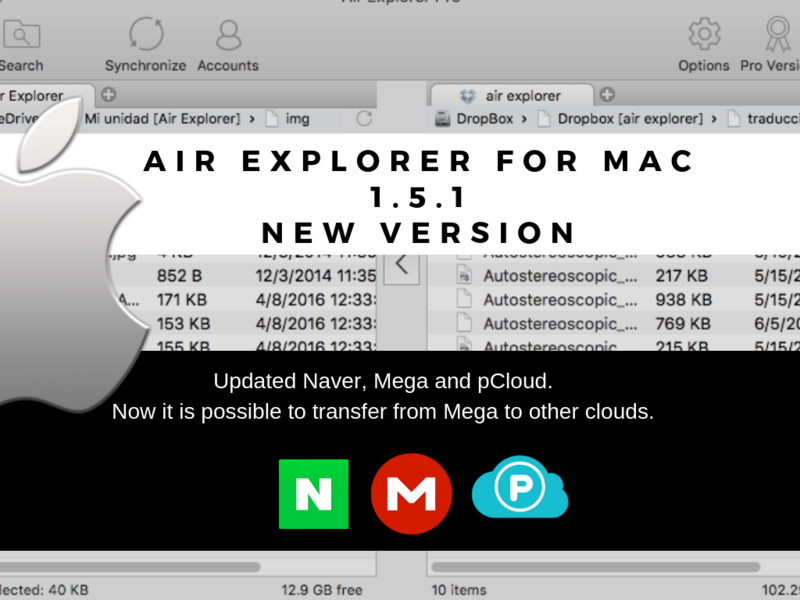 -Now it is possible to transfer from Mega to other clouds. -Fixed, some pCloud accounts could not login. 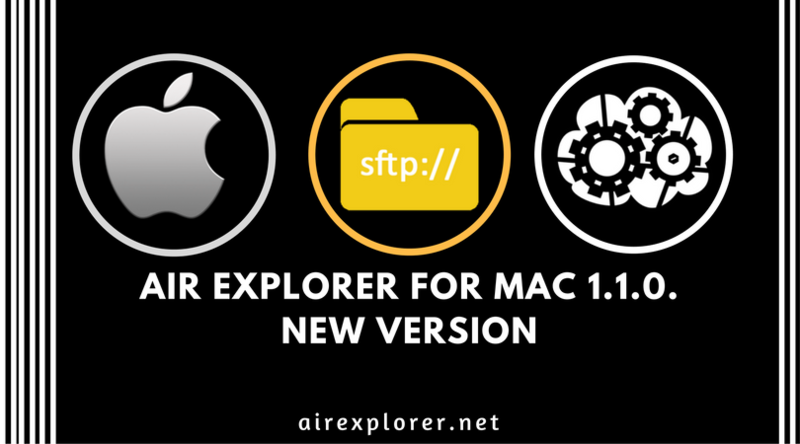 -Fixed error connecting to SFTP server using not the default port. -Fixed uploading 0 bytes size files to pCloud. 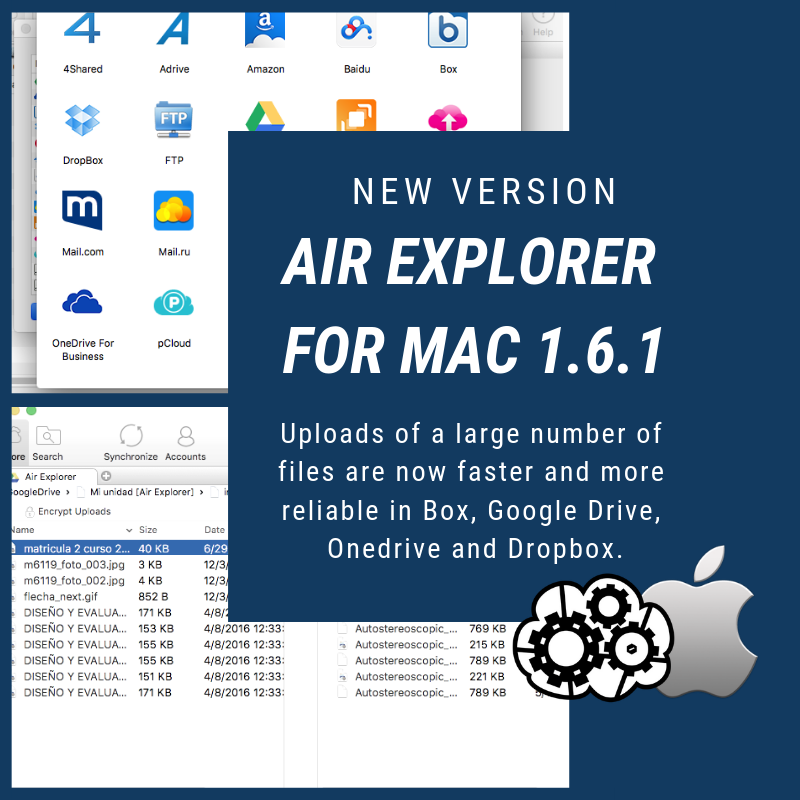 -Increased upload speeds for Box, OneDrive, Dropbox. -Option to download big files in parallel chunks to get a much better download speed in high speed Internet connections. This option is only for Pro users. 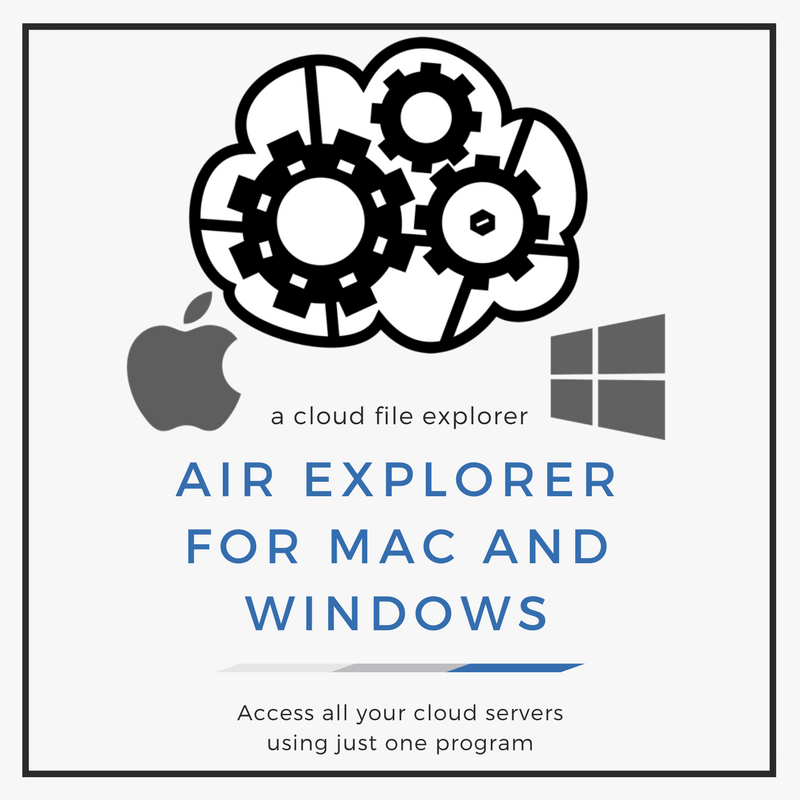 The server supporting this feature are Dropbox, Box, OneDrive and pCloud. -Fixed issue comparing file names. It could cause a conflict upload error on Box. 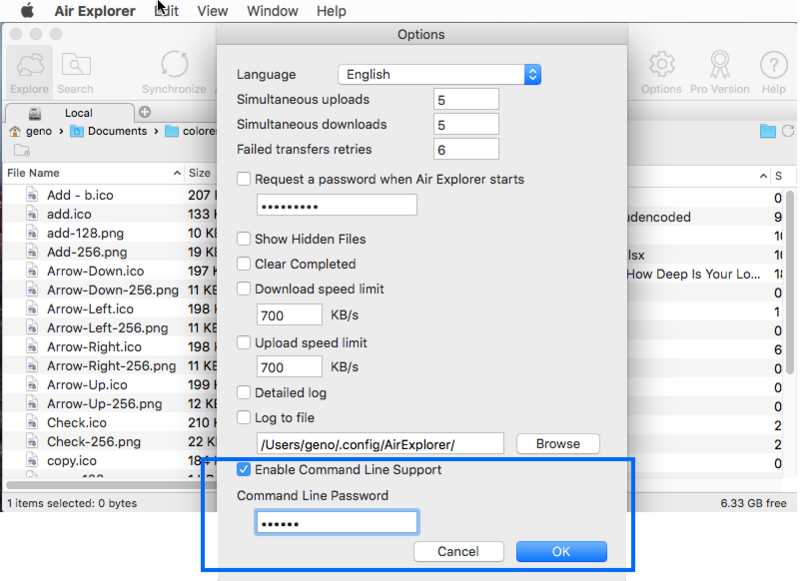 If you want to schedule a synchronization task with Air Explorer, here you have the instructions to do it. If it was executed well, now we have to schedule it. 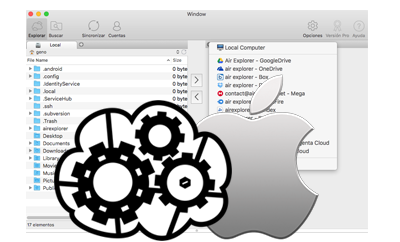 For this, we have to create a task using “Automator”. You can find this in “Applications” on the Dock of your Mac. 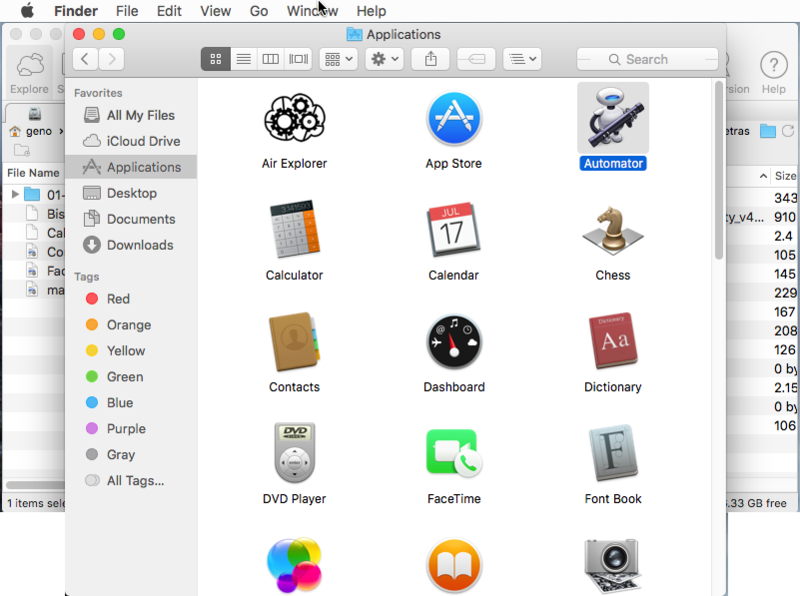 Then click “Automator” to launch Apple’s native program for automating tasks. 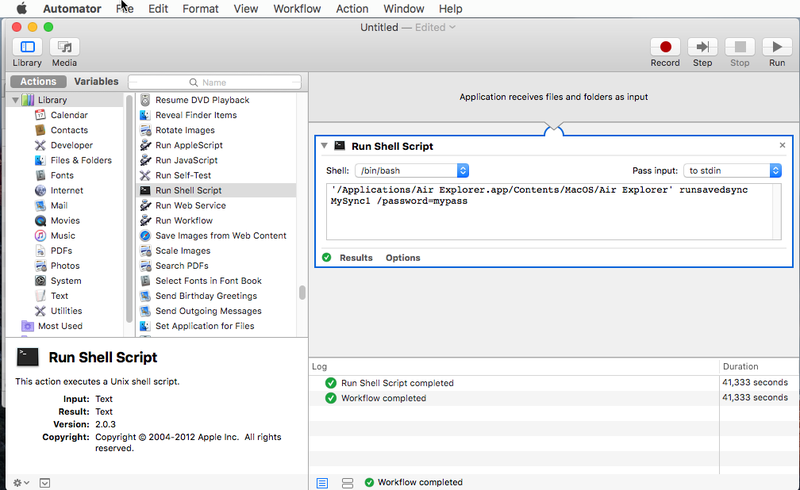 The Automator window appears, then you have to click “Application” to create a new empty Automator application window. 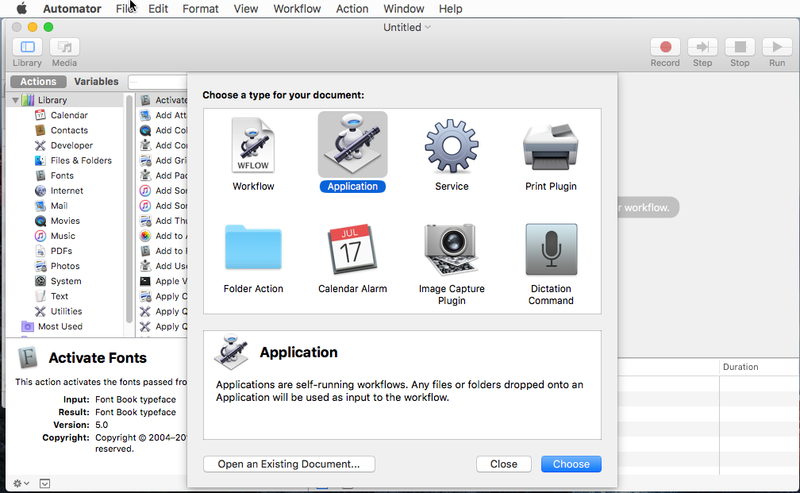 A list of actions appears in the library in the left pane of the Automator window. You have to search “Run Shell Script” and double click on. Paste your synchronization command we used before. You can click on Run if you wish to test it again. 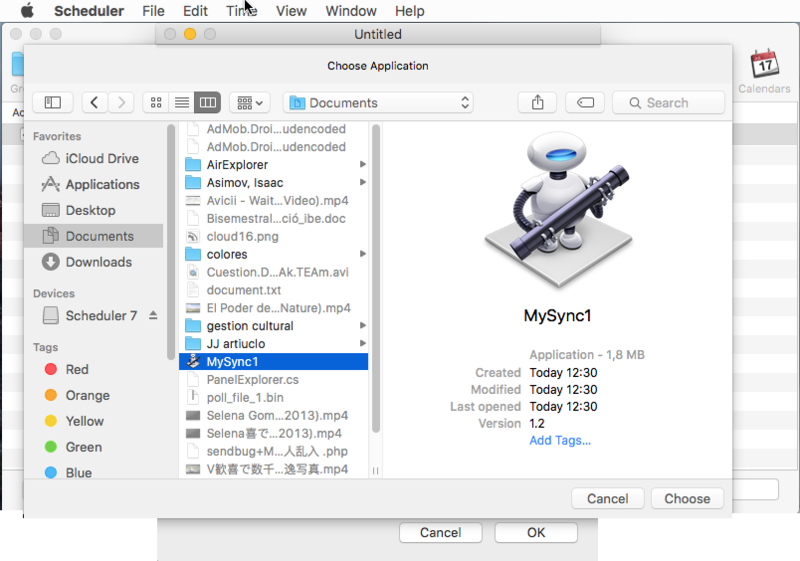 Then, you can close automator. 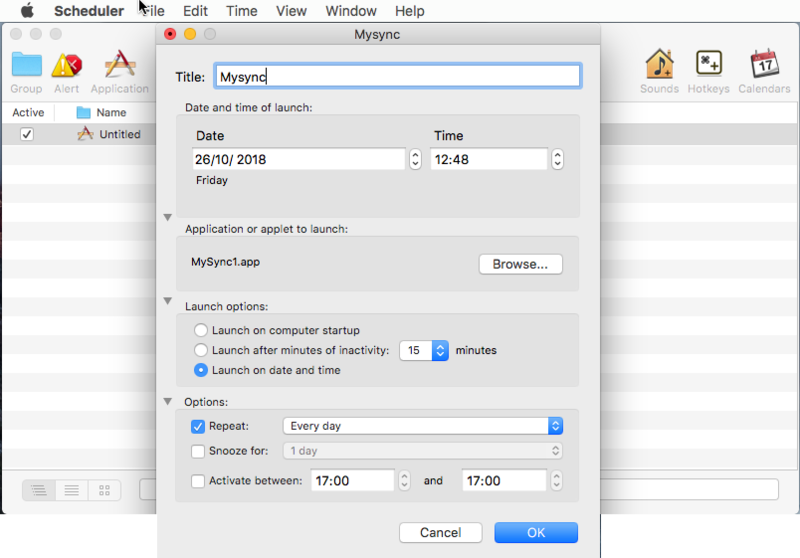 To schedule the Automator task we can use Calendar or another external tool like Scheduler. 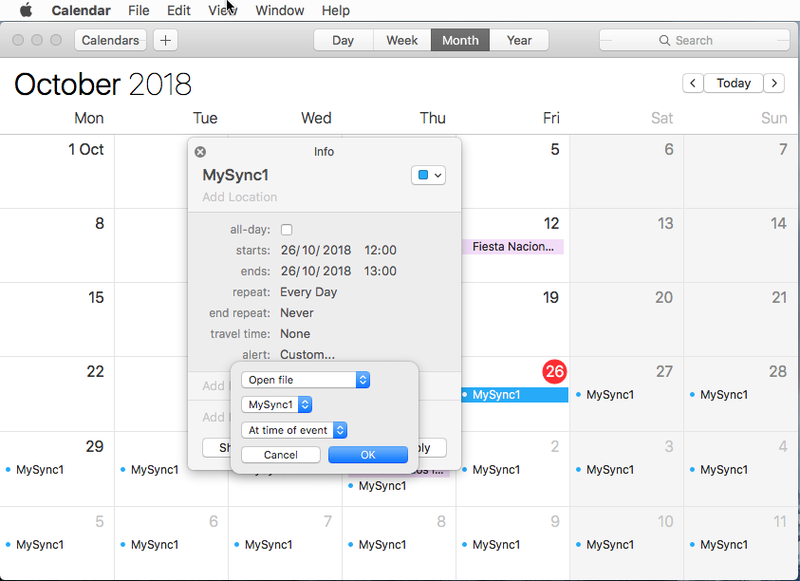 Open Calendar and “Add new event”, give it a name, for example MySync1, change repeat period, for example “Every day” and the start time depending on when you want to run the synchronization, in Alert select “Custom…”, select “open file”, select “other” to select the file you saved with the automator. Select “At time of the event”. Now the task is ready, the first time it will run it will ask for permission. 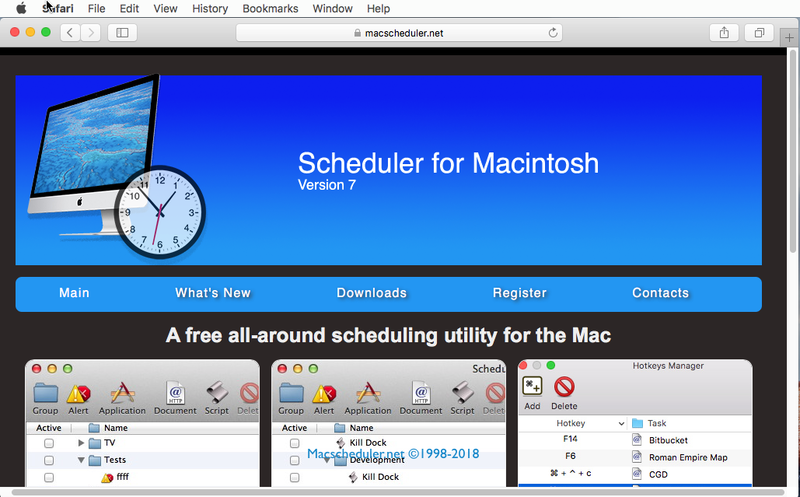 Open “Scheduler” and select File/New Launch. Set the time when you want to run the synchronization. 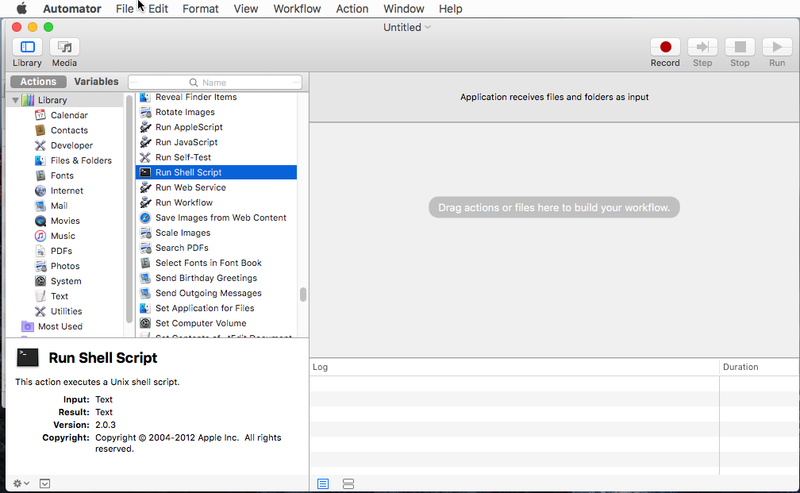 In Application or applet to launch, you have to browse to select the file saved with the Automator. Check “Repeat” if you want to run the synchronization for example every day and finally click OK.
-Added hash comparison support for OneDrive. -Added files history support for OneDrive. -Added Sharing folder support for OneDrive. -Added upload files to shared OneDrive folders (you will need to remove and add the OneDrive account again to use this feature). -View shared with me drives in OneDrive for Business. -Memory optimizations for OneDrive for business. 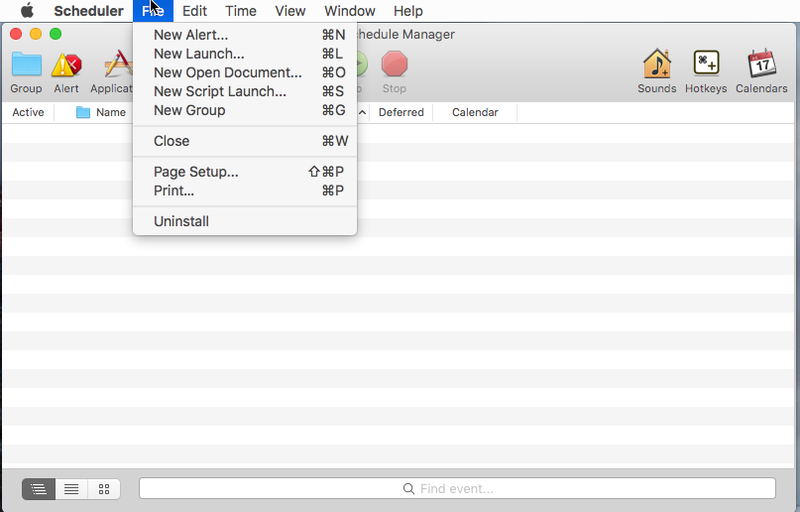 -Now it is possible to schedule the copy of local files or folders to a local folder (or local network folders). -Added new entry menu to open a Box file with the Web Browser. -Show file hash value in the file properties window main tab. 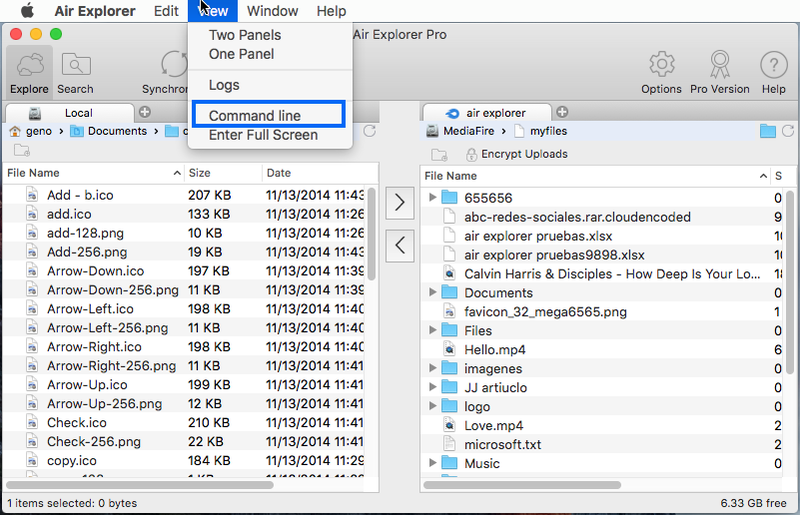 -New context menu in the file properties window to copy the file properties. -Now after each synchronization an html report containing stats and errors can be created. This report can also be created in the sync scheduled tasks and in synchronizations started from the command line (with the parameter /reportfile=<reportfilename> ). 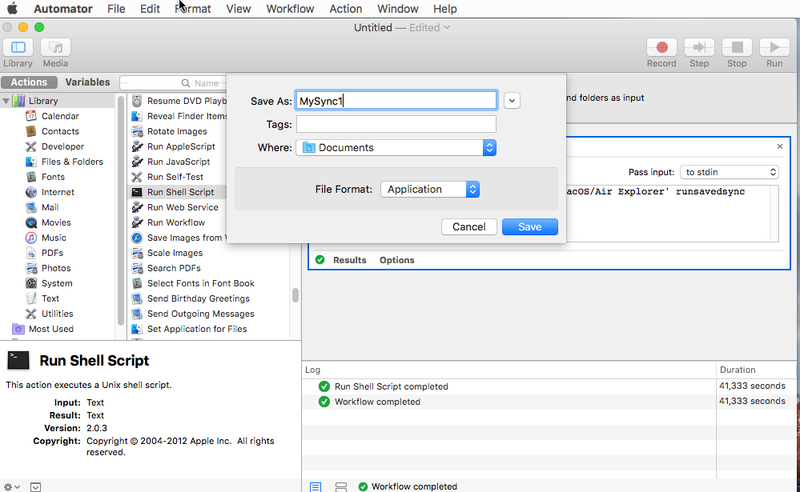 -Synchronization scheduled tasks now have an option to save a synchronization report in a file. -Command line scheduled tasks now have an option to save a synchronization report in a file: /reportfile=<ReportFilePath>. 0 Command executed without issues. 1 Command executed well but some files were ignored. (some the files were already synchronized or, for copy operations, the overwrite option was not selected and some file(s) already exist. 2 Command executed well but no files were copied (all the files were already synchronized or, for copy operations, the overwrite option was not selected and the file(s) already exist. 4 Error. 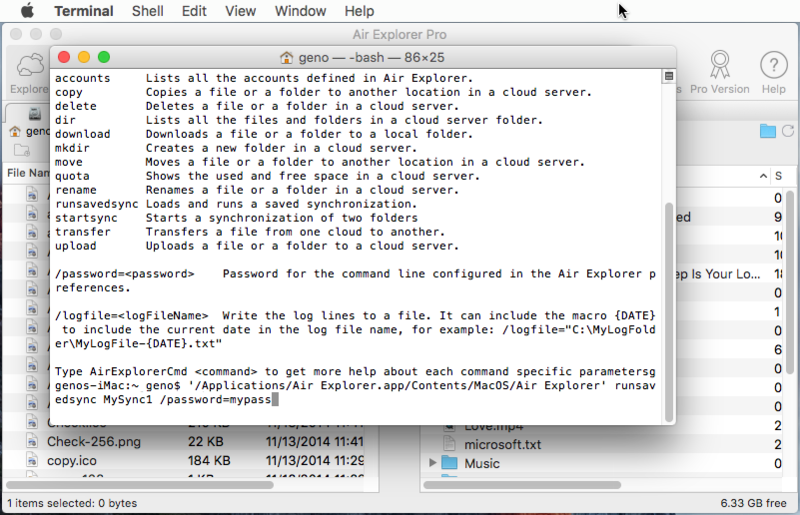 Check command output or logs for the error details. 8 Partial error. Some files were compied well but other files failed. Check command output or logs for the error details. -Fixed show free space on Mail.ru. -Fixed, showing folder properties could take a lot of time in same cases. 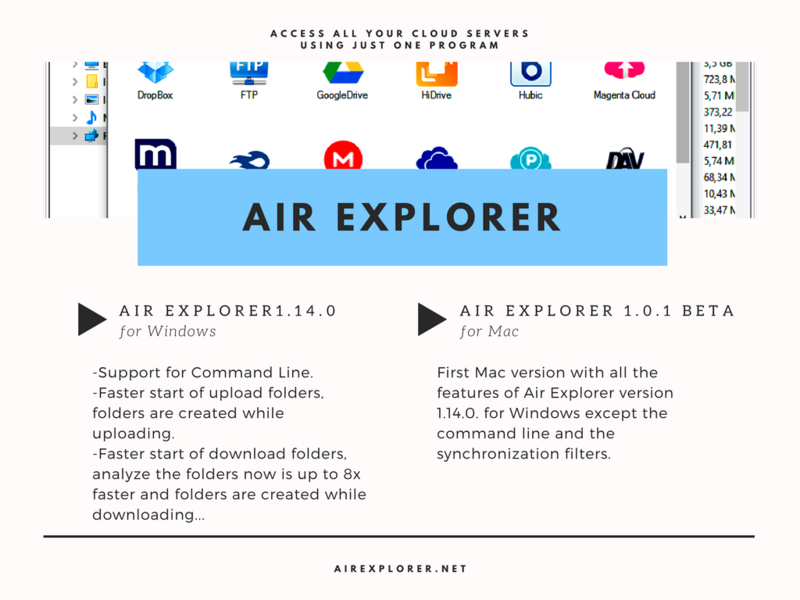 -Command line support, click on View | Command Line to open the command line from Air Explorer user interface. -New button to open a folder from path. -Fixed: logs in logs windows were not updated. -Reduced memory usage in synchronizations. 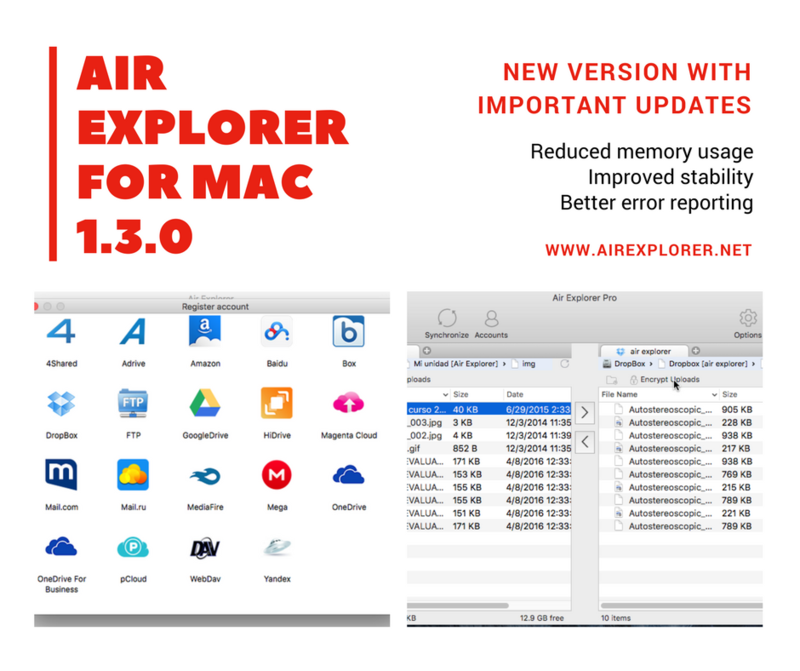 -Reduced memory usage in Box, Dropbox, Google Drive, OneDrive, Mega, OneDrive for business. 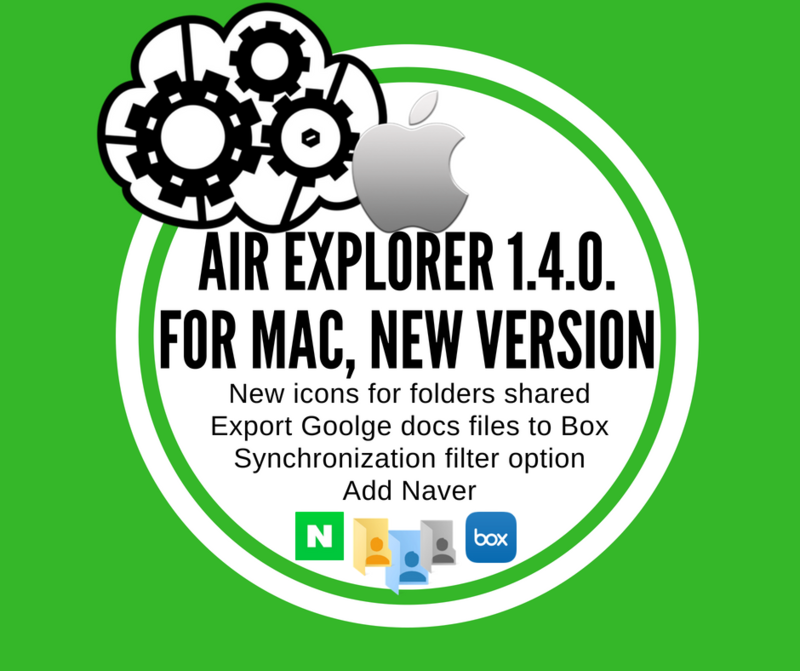 -Added Naver Cloud support (네이버 클라우드). -Shows a different icon for folders that are shared with other users. -Fixed, in certain cases although all the sync tasks were done correctly the program reported that some tasks failed. -Auto-refresh folders always before synchronizing. -New option to start the synchronization automatically when the comparison finishes. -Export Goolge docs files to Box. -Two factor auth support for Mail.ru. -Reduced memory usage on Box, Dropbox, Google Drive, OneDrive, Mega. -Pause and resume uploads for large files (>50 MB) in Box (Chunked upload). -Retry delete operations in synchronizations. -Retry create folder operations in synchronizations. -Log information in cloud delete operations in synchronizations. -Log information in local delete operations in synchronizations. -Shows more information when a create folder operation failed in Box. -Show error information in the logs when a local folder can not be accessed. -Retry 502 errors on Box. -Retry Timeout errors on Box. -Show detailed file properties for Box. -Force refresh token if 401 received on Box. -Descriptive errors for downloads and uploads on Box. -Comparing folders for synchronization optimized in Box, now it is faster and uses less API calls. -Shows more information when a create folder operation failed in OneDrive. -Show file details properties for Mail.ru. -Show file details properties for Baidu. -Copy/paste paths to the local computer address bar. -Show error information on failed delete operations. -Show error information on failed rename operations. -Show error information on failed move operations. -Fixed some OneDrive for Business accounts did not work. -Fixed copy folder in Mega. -Updated Onedrive for Business: some accounts couldn’t be added, fixed errors uploading some files. -Updated Dropbox to API version 2. -Fixed errors reported and improved stability. 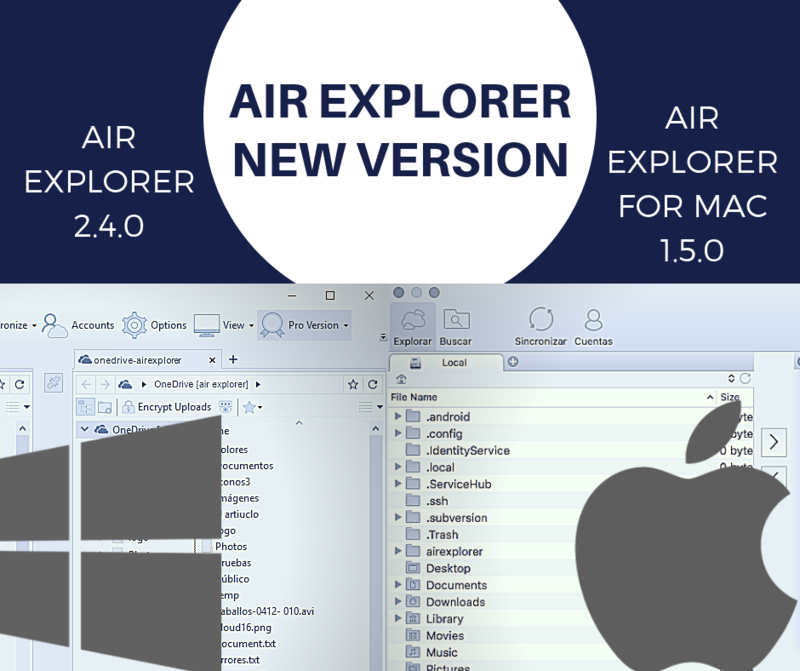 Air Explorer is now available for Windows and Mac, both support the best cloud servers like OneDrive, OneDrive for Business, Google Drive, Amazon Cloud Drive, 4shared, Box, Dropbox, Mega, Mediafire, Yandex, Baidu, Hidrive, pCloud, Mail.ru, WebDAV, Mail.com, Adrive, Magenta Cloud and FTP.